The main watering hole for the big buffalo of the do-it-yourself blinky-flashy world, DIYC has forums where specific pieces of hardware are discussed and explained, as well as hosting the Vixen forum, where K.C. gets his marching orders from his loyal “customers.” You cannot participate in this hobby without participating in this forum (which has an extensive wiki as an adjunct). Honcho Brian (aka Macrosill, “Your friendly site admin”) runs a fairly loose ship, but will reign in transgressors who get out of line. In 2008, the forum had almost 1900 members; by November 2011, it had 9000 members; in 2014, it had grown to 18,000 members, of whom about 250-300 contribute regularly. Robert Jordan (aka “RJ”) of Avon Park, Fla., developed two mainstays of the DIYC repertoire, the Grinch and the LED Triks (a low-part, on-off controller, and a scrolling LED sign, respectively). As he moved into using DMX as a show transport protocol, he decided to create his own web site, in order to better control the distribution of his printed circuit boards. Hence, DIYLA, which focuses on RJ’s Lynx line of controllers, the DMX USB Dongle, the Freestyle, the DMX Splitter, the Express, the SSR4, the MR16 board and Wireless DMX. Soon to come: LED Smart Strings, which are RGB lights where every element on the string is controlled individually. This forum had about 300 members in December 2008, while it had grown to 2200 members in October 2011 and hit 5600 in November 2014, though fewer than 100 participate on a regular basis. In early November 2011, a denial of service attack (DOS) brought down DoItYourselfChristmas.com and it was offline for about 11 days. 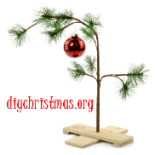 The first week of November is prime time for Christmas lighting enthusiasts to collaborate and one of our number, Dave Haberle (who goes by the screen name Dirknerkle), set up a site at DIYChristmas.org to help fill the breech. After DIYC.com came back in mid-November, Dirk kept his site running, but all of the conversation switched back. Then in mid-2013 there was some controversy and bruised feelings at DIYC.com and a few people got banned there. This pushed Dirk the wrong way and he revived DIYC.org and allowed the banned users to continue on his site. As Dirk said, “You’ll normally find me over there at [DIYC.org], where the rules are looser and where fun can happen again.” So, DIYC.org has fantasy postings, games and jokes, as well as lots of Christmas-light information. It is the effective home of the Komby and VixenPlus communities. In November 2014 it had 1100 members. Light-O-Rama is a leading manufacturer and retailer of systems used to create animated shows involving lights, music and motion. Their hardware and software engineers, seasoned support technicians and certified dealer network strive to provide you with excellent products as well as excellent service. Once the core component of do-it-yourself animated lights, the software application Vixen was written by K.C. Oakes in the mid-2000s. It can control hundreds – even thousands – of channels (which in turn can control hundreds or thousands of individual lights) and outputs in a variety of formats that can drive a wide spectrum of controllers. K.C. developed a 2.1 and then a 2.5 version of the software on his own but then was stymied in trying to take Vixen to the next level. In 2012 the project moved from a one-man band to a software development cooperative and the new group released Vixen 3.0 for the 2013 season. That stumble meant that other hobbyists decided to try their hand at sequencing software and a number of “competitors” came onto the scene. Nonetheless, hundreds of 2014 shows were run on an early version of Vixen (including mine). Without Vixen – and without K.C. – there would be no blinky flashy hobby. David Pitts developed technology to extend the work of Robert Jordan from DIYLightAnimation, but because RJ prefers that technical discussions not take place on his site, David started up FalconChristmas. In addition to components that extend the Lynx line of controllers, David has also created a set of software that takes an inexpensive compact computer — the Raspberry Pi — and sets it up as a player for Christmas lights shows. The FPP (Falcon Pi Player) powered a number of shows worldwide in 2013 and seems poised to double or triple that number in 2014. As the name implies, this is a forum focused on the specific issues of Christmas lighting in Australia, where the household voltage is 220 and all Christmas lighting is low voltage. These hobbyists became specialists in individually controlled red-green-blue LED lights (called pixels) early on and host a crib sheet that’s a good introduction to that aspect of the hobby. The biggest web site devoted to Christmas decorating (it encompasses blowmolds, inflatables, faith-based displays, indoor decorating, holiday cooking[! ], as well as computerized displays and do-it-yourself endeavors), if you have an obscure question that needs answering, this 13,000-member community will probably have an answer. The computerized lights areas are aimed toward the off-the-shelf crowd (those who buy complete systems from turnkey suppliers). The DIY section on electrical questions attracts the contributions of a number of licensed electricians and (more importantly) a number of electrical inspectors who will weigh in on your plans for a sub-panel or a new circuit. There’s more here than you could possibly ever read (more than 30,000 postings on blow molds alone), but it is a great resource, if moderated in somewhat bizarre ways (the site’s owner shut it down for a few weeks in late 2007 because he felt the tenor of discussions was getting out of hand).